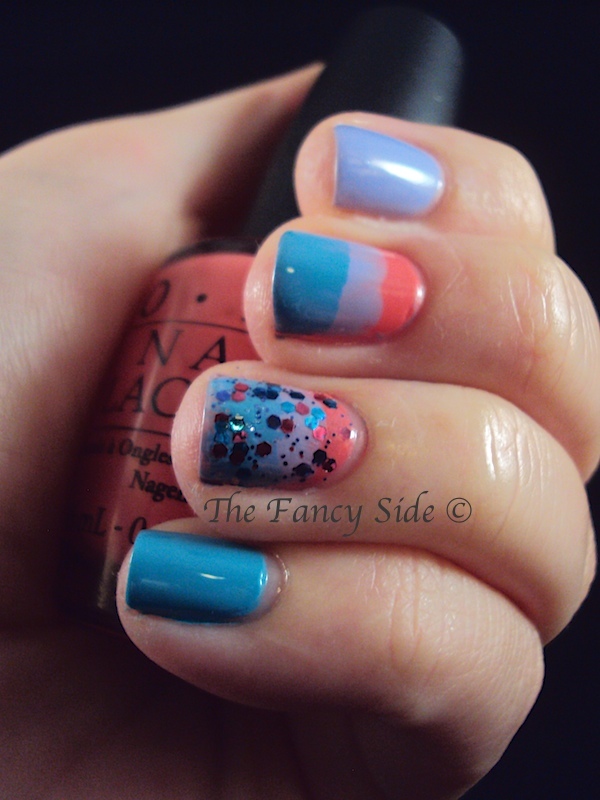 Today, I have a fun skittles look using 4 of the polishes from OPI's recent Euro Centrale collection. It all started because I wanted to use Polka.com the glitter topper, and I wanted colors that matched the glitter. Naturally 3 of the colors from the collection matched perfectly. On my thumb I have Suzi's Hungary Again, pointer You're Such a Budapest, pinkie Can't Find My Czechbook. On my middle and ring finer I layered the three colors together, then layered Polka.com over the ring finger. I hope everyone is having a wonderful Wednesday. Thanks! 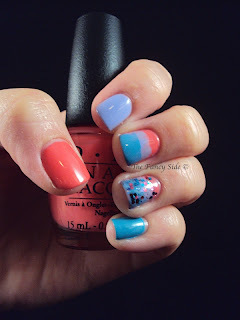 I love the way skittle manis look. All different but cohesive at the same time. I really do like that glitter topper. It's so freaking awesome! I really adore this look. I think the glitter on top of your ring finger just matches so well with the colours under it! 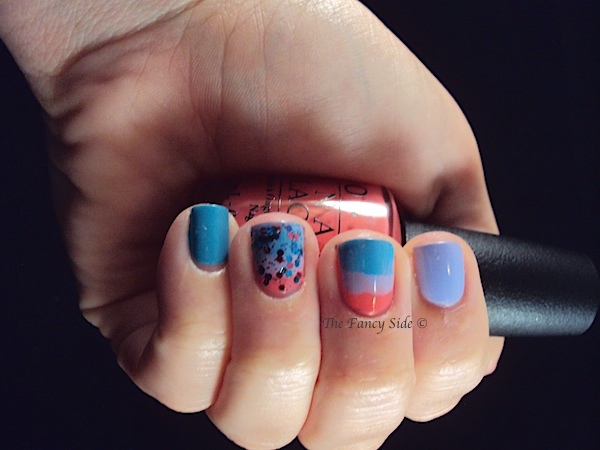 I love the OPI Euro collection, what a batch of pretty colours. It was a great collection. There are still a few colors I want from it. That's what I was going for. Fun and summery.